Sietze de Vries received his professional training from, among others, Wim van Beek, Jan Jongepier and Jos van der Kooy. He was awarded his undergraduate degree at the Groningen Conservatoire; at the Royal Conservatoire in The Hague he completed his post-graduate studies with an endorsement for improvisation. 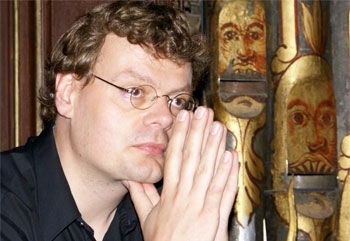 In addition, he graduated from the Alkmaar school for church music with the Dutch church music diploma. Between 1987 and 2002 he won fifteen prizes at various national and international competitions for both repertoire and improvisation. The pinnacle, and also the conclusion, of that period was his triumph at the International Improvisation competition in Haarlem in 2002. On two previous occasions he had been a finalist. Many of these recordings have been shared on YouTube by the user Henk van den Brink. 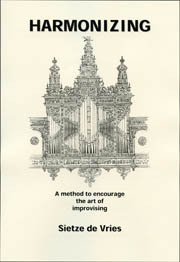 He has written a book- Harmonizing: A Method to Encourage the Art of Improvising which covers basic theory while gradually moving toward improvising using I, IV, and V in easier keys. As the book advances, he includes harmonizing and improvisation on ii, iii, and vi as well as in minor keys and even church modes. Published by Boeijenga Music Publications. Available from the OHS Catalog here. 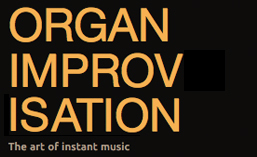 This entry was posted in Organist and tagged Alkmaar, Boeijenga Music Publications, Book, Brouwershaven, Dutch, Groningen, Haarlem, Henk van den Brink, Jan Jongepier, Jos van der Kooy, Recording, Sietze de Vries, The Hague, Wim van Beek, YouTube. Bookmark the permalink.